Our engine warranty is 90 Days with unlimited mileage from date of purchase. This covers the motor or long block only. No accessories. All engines are stamped and a heat tab is installed. The engine is intended for use in an application that has a like engine as its original equipment other installations voids all warranties. Engine horsepower enhancing modifications or racing and high performance applications voids warranty. Compare before installation. Make sure all electrical plugs, harness assemblies, oil pan and accessories are the same before installation. Remove all cap-plugs from hose orifices before installation. Replace gaskets and seals i.e. : front seal, rear main seal, valve cover gaskets, intake gaskets, oil pan gaskets, etc. We are not responsible for external leakage. It is mandatory that you tune up the engine, replace the timing belt and water pump, install replacement spark plugs and wires. Change the oil using manufacturer’s recommended oil and replace the oil filter. Install a new thermostat and flush the radiator. Drain excess oil and coolant from the exhaust system. Replace fuel filter, antifreeze, and clear all engine codes. Improper preparation and/or installation voids all warranties. 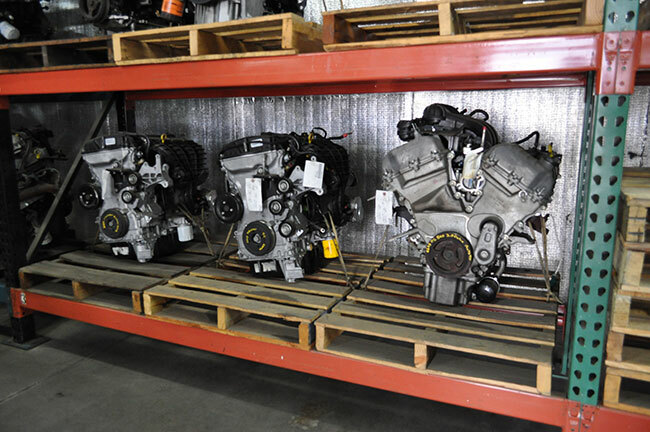 Our warranty is a similar engine exchange warranty and does not cover any parts, labor, towing, rentals or loss of time. If you have any problems do not remove engine. Give us a call with the name of the shop and copy of the itemized invoice. No returns without the original invoice from this company (no exceptions). All guarantees are voided by faulty installation, overheating, low fluid levels, abuse, faulty electrical or computer devices. In case we need to have the engine inspected and/or repaired, it will be by a qualified repair facility of our choice. All repairs will be done at the going shop rate. If the repair is the fault of improper preparation and/or installation the customer will be billed for the repair. Our transmission/transfer case warranty is 90 Days with unlimited mileage from date of purchase. Transmission pans have been removed and visually inspected prior to sale. All transmission/transfer cases are stamped and drained. This transmission/transfer case is intended for use in an application that had a like transmission/transfer case as its original equipment. Other installations void all warranties. Compare before installation. When interchanging between years and models it may be necessary to change wiring, linkages, speedometer gears/sensors and clear all codes. We are not responsible for external leakage. Replace gaskets and seals i.e. : front seal, rear seal, axle seals, pan gaskets, etc. We are not responsible for filters. It is mandatory that you flush and inspect the transmission cooling lines, transmission cooler and install replacement filters. Install new radiator and/or cooler. Torque converter must be properly installed. Fill using only manufacturer’s recommended fluid. Improper preparation and/or installation voids warranties. Our warranty is a similar transmission/transfer case exchange. Warranty does not cover any parts, labor, towing, rentals or loss of time. 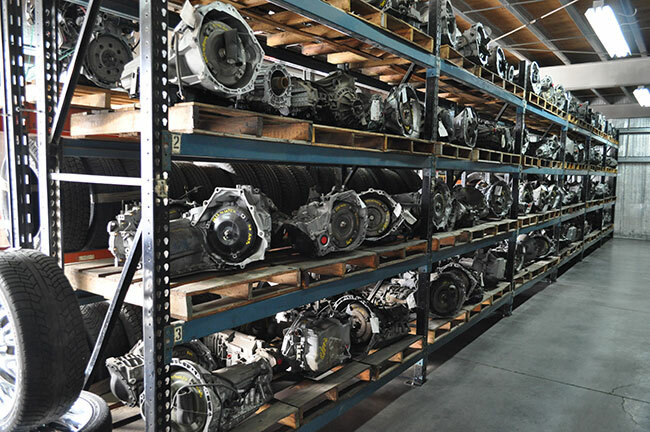 If you have any problems do not remove the transmission/transfer case without prior authorization from seller and scanning for electrical codes. Call us with the name of the shop and copy of itemized invoice. No returns without the original invoice from this company (no exceptions). All guarantees are voided if failure is caused by faulty installation, low fluid levels, abuse, faulty electrical or computer devices. In the case we need to have a transmission/transfer case inspected and/or repaired, it will be a qualified repair facility of our choice. All repairs will be done at the going shop rate. If the repair is the fault of improper preparation and/or installation the customer will be billed for the repair and or another transmission. We offer extended warranties, at additional cost, on almost all the parts we sell. Ask your salesman at time of sale for availability, terms, details, and rates for extended warranties on the parts you are purchasing.